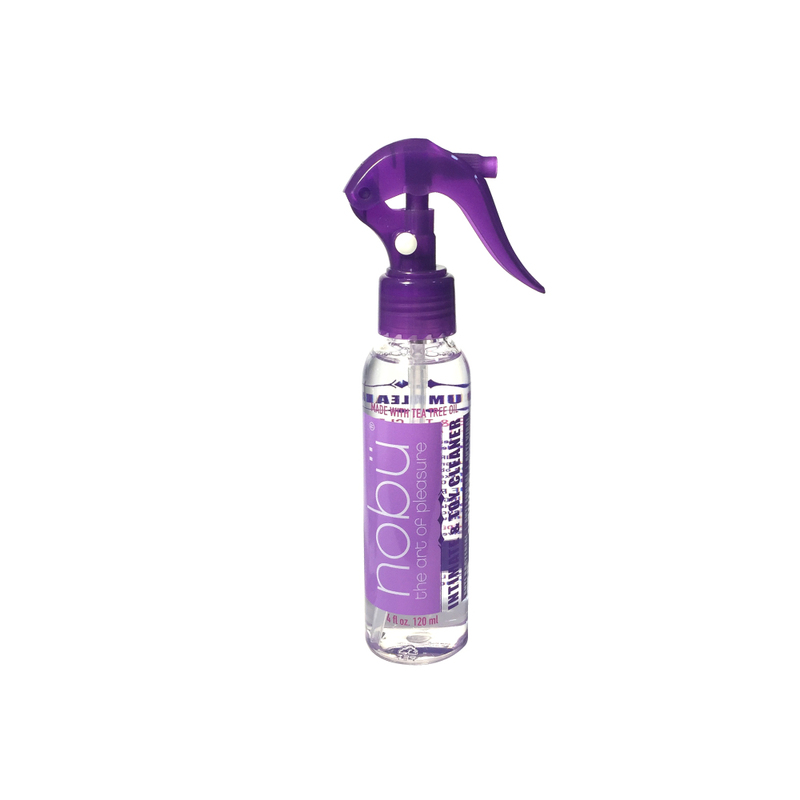 Nobu Intimate & Toy Cleaner is designed for the hygienic cleaning of toys and intimate areas, with it’s powerful, yet gentle dermatologically tested formula. An incredible blend of ingredients with a tea tree oil base this cleanser is anti bacterial, anti viral and anti fungal! The spray bottle was designed with customer satisfaction in mind, not only does it include anti leak technology, it also has a spray mist nozzle that allows customers to save 50% per spray extending the lifetime of each bottle. Ideal for both toys and all your intimate areas, you can play and than be on your way! To use, simply press the ON button next to the collar to unlock, spray directly onto the toy or intimate area to be cleaned. Wipe off and rinse any excess if necessary, don’t forget to press the OFF button next to the collar to lock and avoid spills. What kind of bottle is it? How much is in the bottle?